Ian achieved his black belt in 1986 and in 1987 he opened his own karate club at the Community Centre on Broughton road in Skipton. With just a handful of students and a great deal of hard work, Ian built up the club, little by little they out-grew the Community Centre and moved to Ings School which had a much larger hall. It was there that he got to know one of his newer students, a young woman by the name of Rebecca...who was later to become his wife. 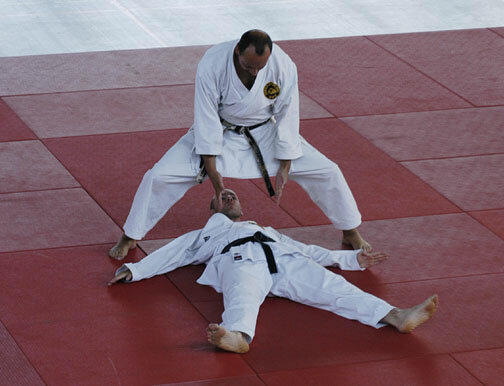 In 1988 Ian became a Kata and Kumite judge then in 1990 he progressed to referee status. He has refereed in dozens of competitions in the last 20 years and has been considered by many to be one of the best association refs in the business. Rebecca was first attracted to Karate in 1989 after seeing an advert in the local newspaper. Four short months after her initial lesson she took her first grading (exam) and passed to her yellow belt. It was in 1991 that she became interested in teaching, two years later Ian and Rebecca were married, shortly after this she became a fully qualified assistant instructor. In 1994 she achieved her black belt under Stan Knighton, Ken Gee and the late Dave Warburton. Ian and Rebecca then started a family having a boy (Jonathan) in 1996 and a girl (Abigail) in 1998. Rebecca opened her own club in 2008 at the Dance Studio, Craven Pool. She is specialising in teaching young children from 5 to10 years old. 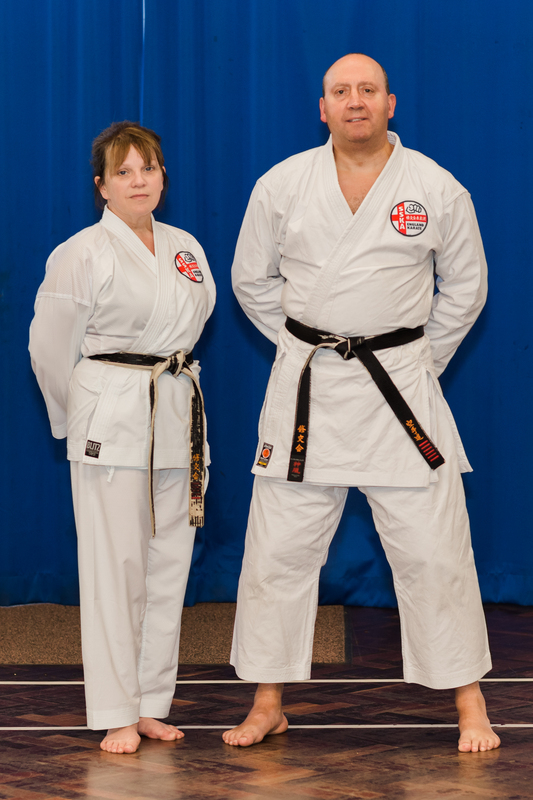 Ian and Rebecca began their Karate careers with the S.K.U (Shukokai Karate Union) both were very happy there. 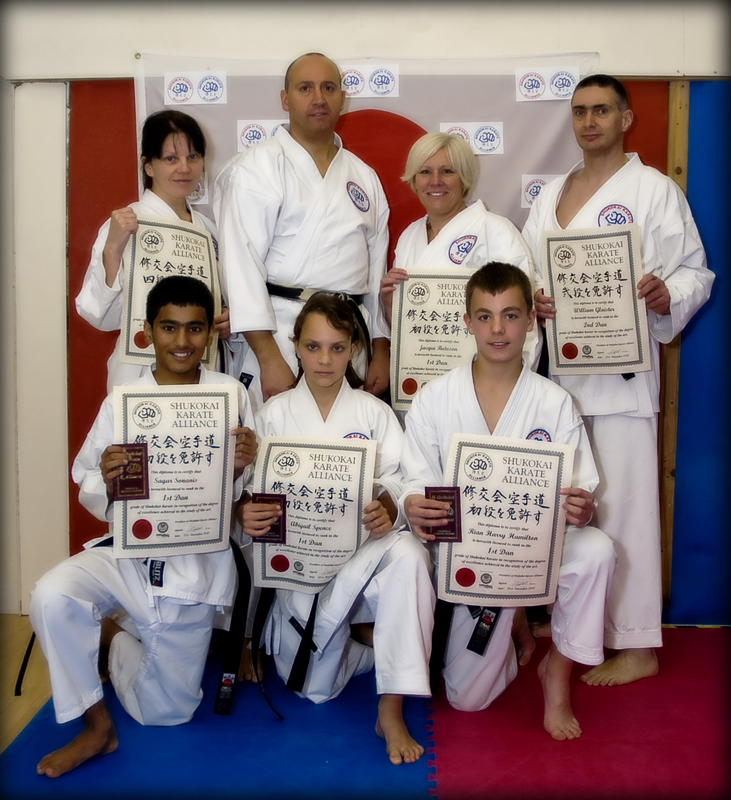 However, in 2010 they decided it was time to move on and along with 4 other senior instructors they left the S.K.U and helped to form the Shukokai/Shitoryu Karate Alliance (S.S.K.A). This was not an easy move and they both took great care and thought before they made their decision, which they believed was in the best interest of the clubs. Ian is now Vice President of the S.S.K.A and Rebecca is treasurer and dan grading organiser.